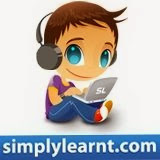 Be it IIT, PMT, CAT, NTSE, Xth or XIIth board, the studygroups at SimplyLearnt are there to help. So what are you waiting for, just join. We would like to hear your thoughts if you liked these study groups - please use the comments section to write about that.